This may come as a surprise: Ohio is a hot spot for up-and-coming indie pop artists. There’s Pomegranates out of Cincinnati and Bears in Cleveland. Rounding out the power trio is Cleveland’s Afternoon Naps. Catchy melodies and memorable vocal hooks can be found throughout their sophomore release, Parades. 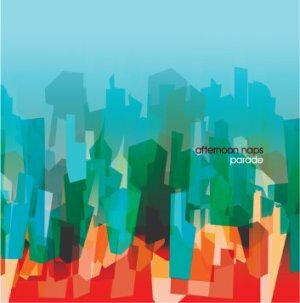 But there’s much more behind the music of Afternoon Naps that makes them one of the most promising pop bands around. The guitars are fairly standard, but have just the right amount of jangle in songs like “Beach Bums” and “Mitten Fingers”. 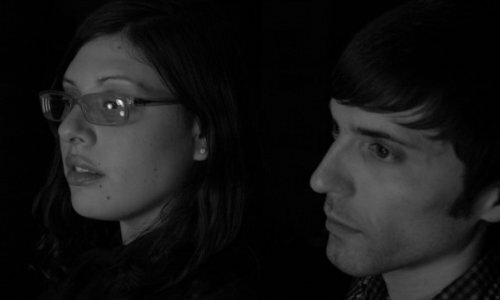 Leia Hohenfeld typically backs Tom Dechristofaro on vocals, but she takes an occasional (and most appreciative) lead in “The Day We Started” and “Catholic School”. But most songs find Tom in the lead with Leia backing from time to time. It works; Tom’s vocals fit that twee-ish, 80s European sound inching toward a slight Smiths influence and a well-versed Sarah Records collection of singles. Beyond that, there is something brilliant about Parade, and it follows Afternoon Naps’ aforementioned Ohio natives. They blend pop with psychedelic sounds à la Bears, and their tempo pushes forward on the edge of being too fast at times, much like that Pomegranates frequently features. Perhaps where Afternoon Naps stand out most is in Leia’s accompanying keys, from piano and organ, to synths. The degree to which she adds to the instrumentation is significant; without the keys, these songs simply would not be the same.